Regardless of the outcome of the May 2016 elections, one TV network has proven itself worthy to be given a second chance. CNN Philippines, which hosted Sunday's vice presidential debate, drew rave reviews online for what is now being deemed as the most riveting and most compelling debate in the PiliPinas Debates series organized by COMELEC or the Commission on Elections. Netizens took to Twitter to commend the network for hosting a very polished and organized debate — from pre- to post-debate programs — while also praising moderators Pinky Webb and Pia Hontiveros for the way they handled the live television event. CNN Philippines doing a post-debate analysis now. Galing. @AttyKarenJimeno Atty. Karen, glued myself infront of the TV from Predebates, Debate proper, and Postdebates. Congrats to CNNPH. @AttyKarenJimeno is the real definition of beauty and brains. Great post debate analysis w/ CNN Phils! @AttyKarenJimeno @amelynveloso @ajbennettCNNPH @cnnphilippines congrats and thanks for an enlightening pre and post debate analysis. Fellow newsers also lauded the local CNN station, with #NoFilter host Teddy Boy Locsin, Jr. calling the production a "superb debate," while Rappler's very own Maria Ressa tweeted, "Congratulations, @cnnphilippines! 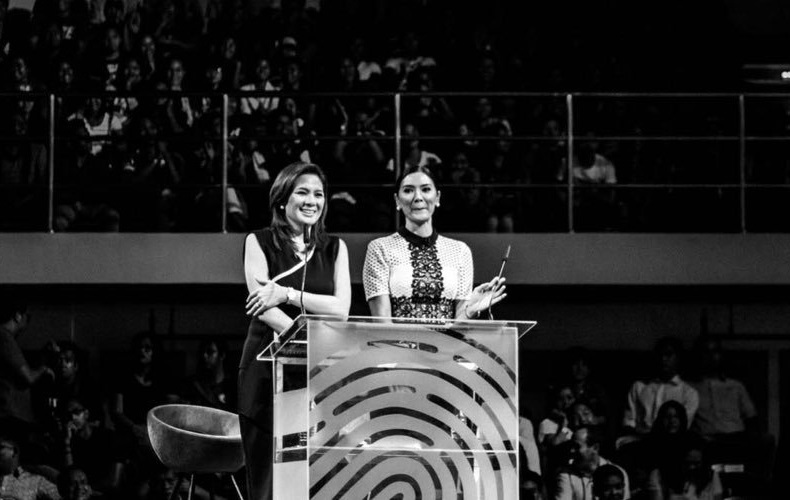 @piahontiveros & @iampinkywebb, you were fantastic & it was wonderfully produced, @ajbennettCNNPH! #PHVote." In a statement, CNN Philippines executive vice president and managing editor Armie Jarin-Bennett spoke of the satisfaction at being given a chance to host a national debate, saying: "We are honored to host the first VP debate. Thank you for joining @cnnphilippines at the #PiliPinasDebates2016." One of the moderators, Webb, for her part, posted a photo on Instagram with a caption: "From all us at @cnnphilippines , a big THANK YOU to all of you!!! 😍 You're sweet and inspiring messages have warmed our hearts beyond expectation 🤗 We are humbled 🙃 #PiliPinasDebate2016." CNN Philippines, kudos, fantastic job by the two Ps. This is a superb debate. And I thought VP debates would be vacuous. Kudos to Pia and Pinky. So, what did you think about the debate? Has CNN Philippines finally earned a place in your channel listings? What do you want to see next from the network? Let us know by posting your comments below or on our Facebook page. You can also tweet us @medianewserphil.